​Hello everyone! It's been a while. I know. The past few months things have been getting a lot more sunny and vibrant here. 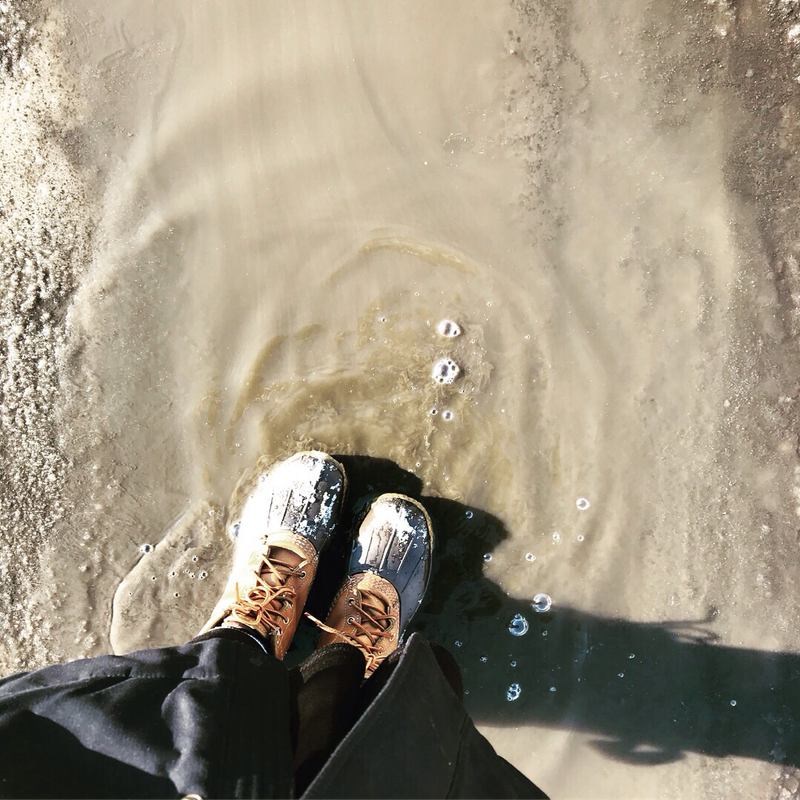 The roads have turned to streams with all the snow melting, people are walking without hats and have shed their second skins, the sun is burning brighter and longer each passing day. Time is also ticking down to the time we when have to leave for the summer, with feelings of excitement for home and sadness at the thought of leaving our new home and friends. ​Over the past few months we have been living our not-so-typical lives here. We have celebrated Easter... twice! 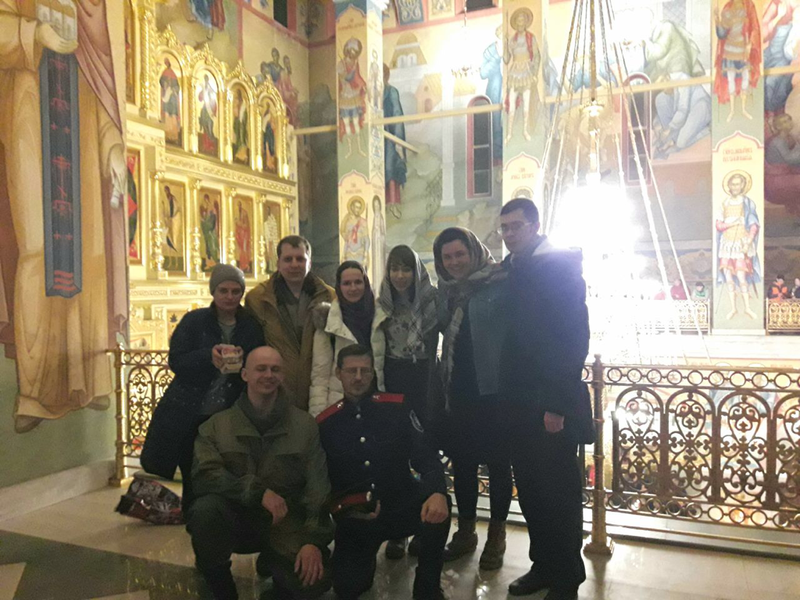 We have said goodbye to a dear friend who moved to the Moscow region. We have learned more Russian. We have had deep conversations about friendship, courage, love, and relationships. We have learned the art of Salsa dancing. We have continued loving and playing with the kids on Saturdays. We have been able to develop a slight sense of humor in our new language and been able to communicate with our friends in a different way. We have shared music and time with many friends, who are all incredibly talented. We went to our first movie at a Russian movie theater. We have had friends reach out to help us return next year. We have marveled at the new freedom found by spring weather and clear streets. We have gotten to know our friends in a whole new, fuller way. Our friends have made the church even more of a home and have felt comfortable staying for Adoration, watching a four hour long movie about St. Don Bosco, or just hanging out and talking with the various visiting priests. ​Spring has never brought so much fruit or so much hope in my life. 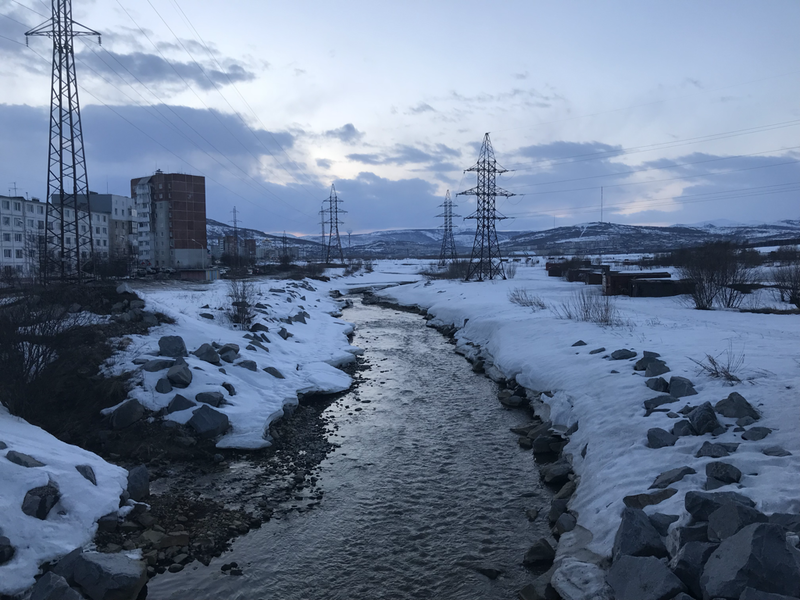 Spring in Magadan has revived the city after a long, snowy winter. Even though you may still see piles of snow and ice scattered around the city, nothing can stop us now. The birds have just paraded over Magadan skies today, enroute North. We cannot wait to see what the last three weeks of this year will have in store for us. 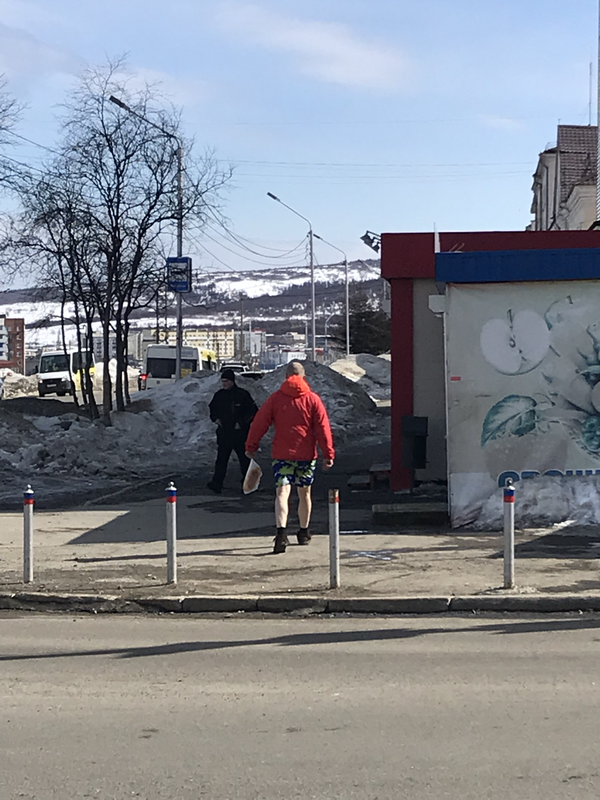 ^^^ Here is a rare sighting of a Magadanski man confidently walking around Magadan in Hawaiian shorts on April 29th. I think he is the most excited and optimistic of all for springtime. In order to return next year we need to raise roughly $1,500 each. Please consider becoming a part of our mission by donating or by keeping Russia and us in your prayers! Thanks a bunch! Life is full of surprises and messages. One can never predict what will be around the next bend. Saturday morning was a true testament to that. I was dropping off a cake for one of our Friend’s birthdays and some supplies for our event that evening. I was in a rush to get to the sister’s apartment because I was ,per usual, running late. This time I was literally running. But to my surprise as I opened the church door to book it, I was welcomed face to face by one of our Kid’s Club Kids, Jenya. Mind you, this was 3 hours prior to when Kid’s Club was supposed to be. ‘Because it is early, I will see you later, okay? I have to go.’ ‘What are you doing? Where are you going? I am coming with you’ ‘To the sisters’ house for mass.’ ‘Mass? What’s that? I am coming with you’ He proceeded to grab my hand and repeat ‘I am coming with you’ several times. In the moment I didn't think that he really wanted to come, and thought he just wanted to hang out. I told him I was late and I need to go. I began to run down the icy streets, and soon I heard running behind me. He began running with me, asking where we everyone was, what I was doing and a million other questions. We entered the chapel and joined everyone in prayer before the Blessed Sacrament. Adoration finished and Jenya took a stool and placed it right next to Katya. He sat cozied up to her as mass began. He began to follow along and mimic Katya, as mass continued. When the homily came, Father Yosef made a special point to reach out to Jenya and engage him in the message of the gospel. Ever since then Jenya has been at our side. 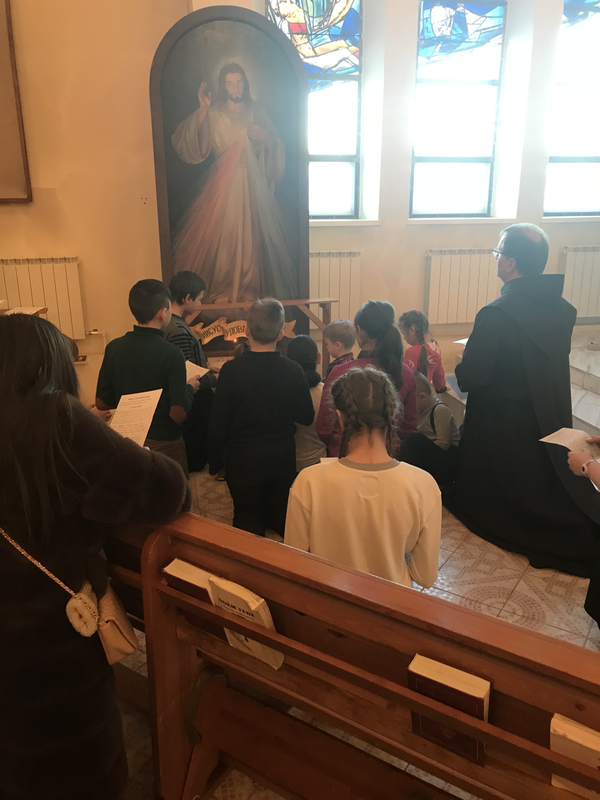 He came to mass the next morning; and then spent the rest of the morning with us and parish after mass as we all sat drinking tea and eating sweets at the Easter market, after the Lenten play that was performed. 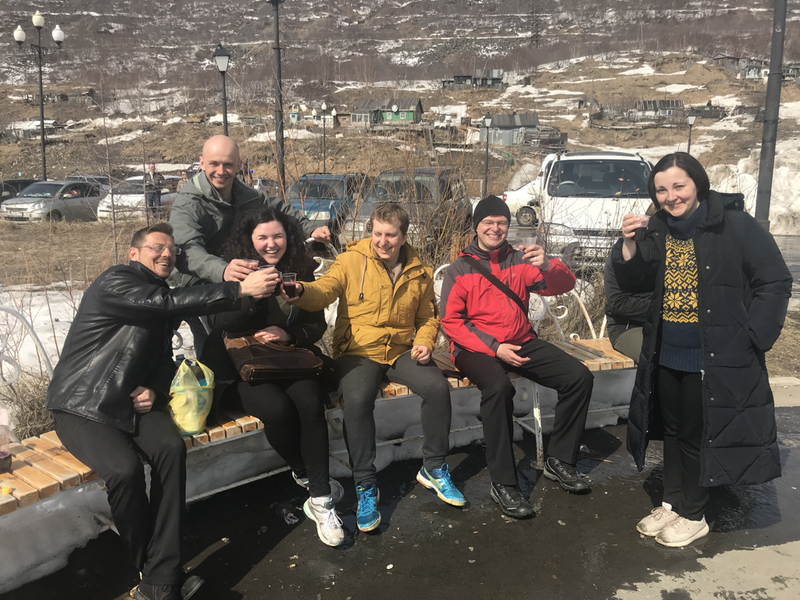 Happy Easter from Magadan! We were so lucky to have some of our close friends join us for this special occasion! “Here comes the Sun, Here comes the sun, it feels like years since its been here” This song has never rung truer. 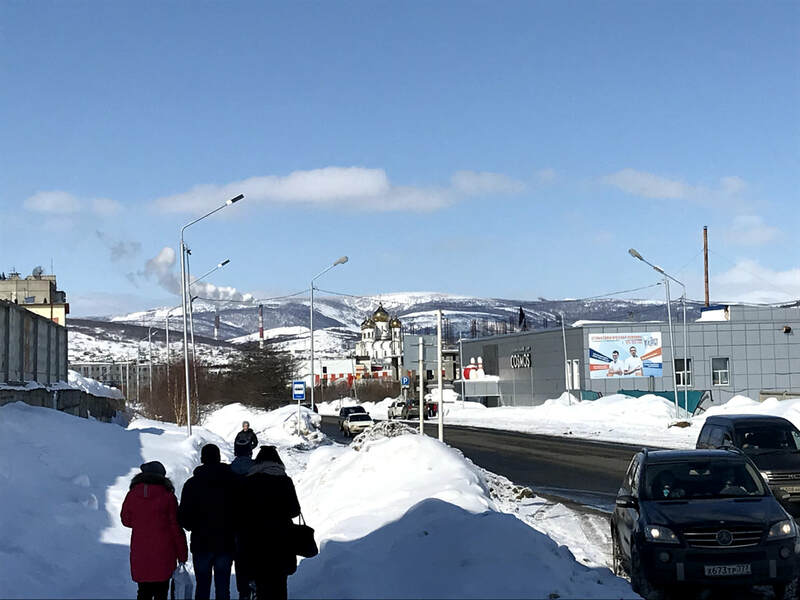 The first day of Spring was ushered in with warm Magadan weather, clear blue skies, and brilliant beams of sunshine. ”Spring” has allowed a revival of our spirits. Ministry has continued as usual. One of our local young artists, Sofiya, came to art club and helped paint part of a set for our Lenten play. 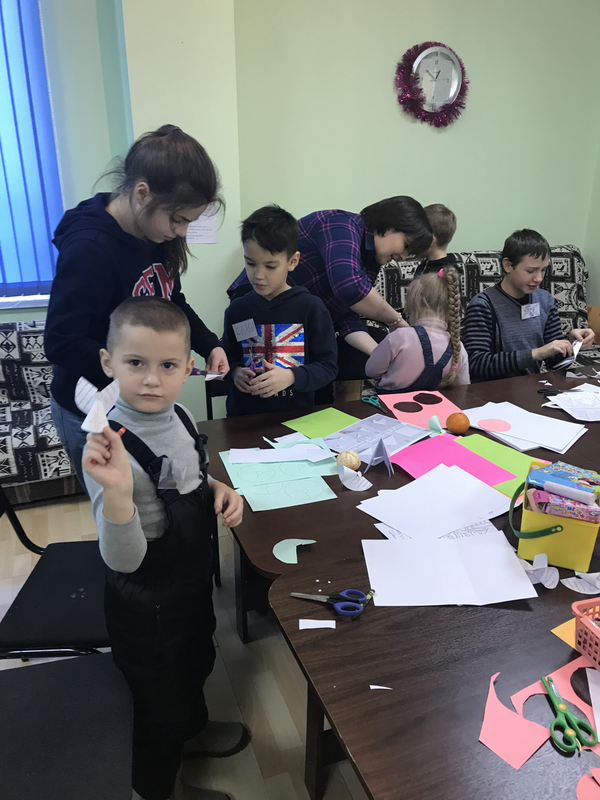 On Saturday, Kids Club has continued, and it has been incredible working with the kids. One of the exercises we did with the older kids recently, was describing the painting by Ivan Kramskoy “Christ in the Wilderness.” We had them describe it in English as much as they could, and we were amazed by all the things they said about this piece. On Sunday's, after mass the whole parish partakes in the Stations of the Cross. The past couple of weeks MJ and I have been asked to read the prayer for some of the stations. It has been such an honor to be a part of this community prayer and Lenten reflections. 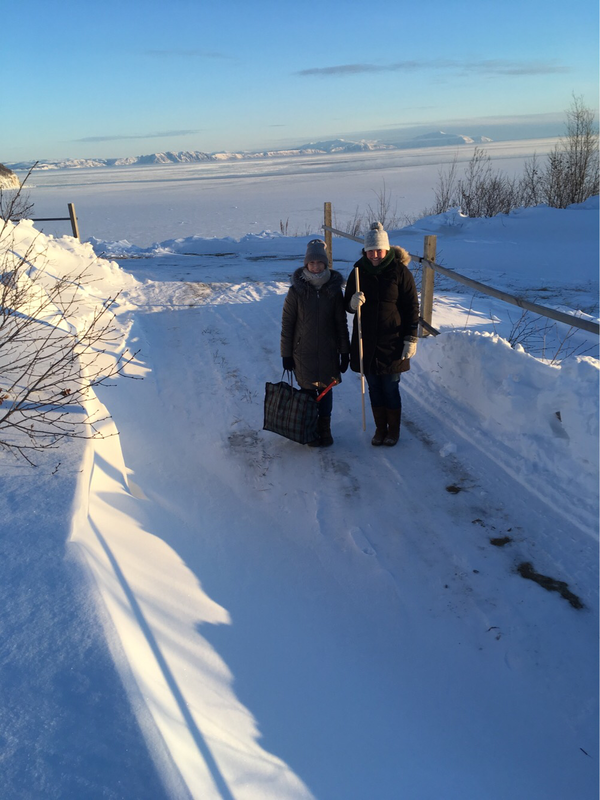 Despite the fact that it is ‘Spring’, both bays are frozen, and on the National holiday of Women’s day; Katya and I spend the day walking down to the bay and then crossing the bay and observing all the families and friends ice fishing together. Our classes have been very interesting, and in our Art History and Film history classes we have been learning a lot about Russian art and cinema. This has allowed MJ and I to have a deeper understanding of Russian culture and the Russian soul. Last Saturday, we had to cancel our events due to extreme wind and snow, much to all of our friend’s dismays. Everyone tried to persuade us to have the event despite the crazy weather. It was so heart-warming knowing that despite the rampant weather they wanted to get to get together. One day, last week while I was on the bus on my way to school, an elderly woman began talking to me. She was talking about retirees, the revolution and other assorted topics to which I am uncertain. She began to ask me questions, and when I answered very briefly she asked if I was from Uzbekistan. I responded no, that I was American. She was delighted and told me of her brother who had moved to American and asked me about New York. She also asked me why I was in Magadan. I told her I was studying Russian and helping out at the Catholic Church. She began to tell me about a woman she met from the Catholic Church who helped her once. As she began to describe the woman, I realized she was talking about Sveta! 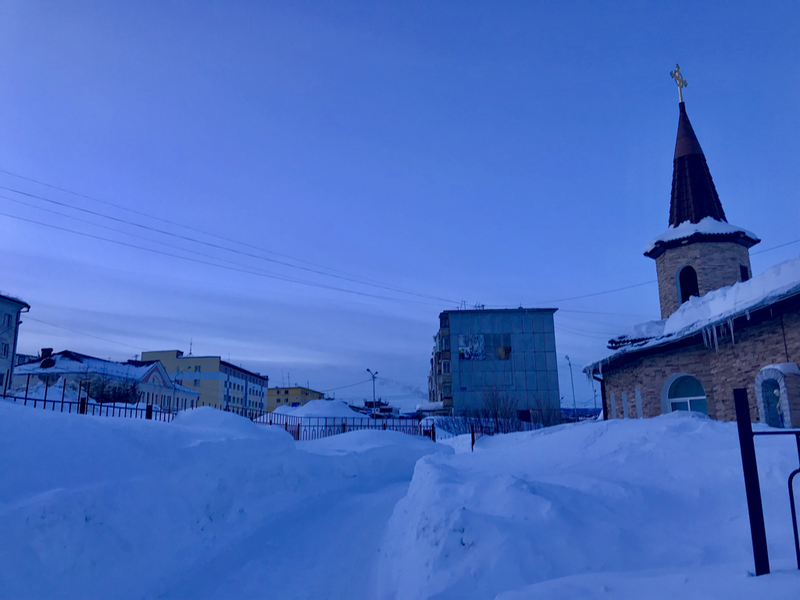 It was so neat seeing just another witness of how impactful the Church is here in Magadan. Father Roman from Poland left last Wednesday, and he has been replaced by the wonderful Father Yoseph from Slovakia. Within a few short days he began developing relationships with the people of the parish. 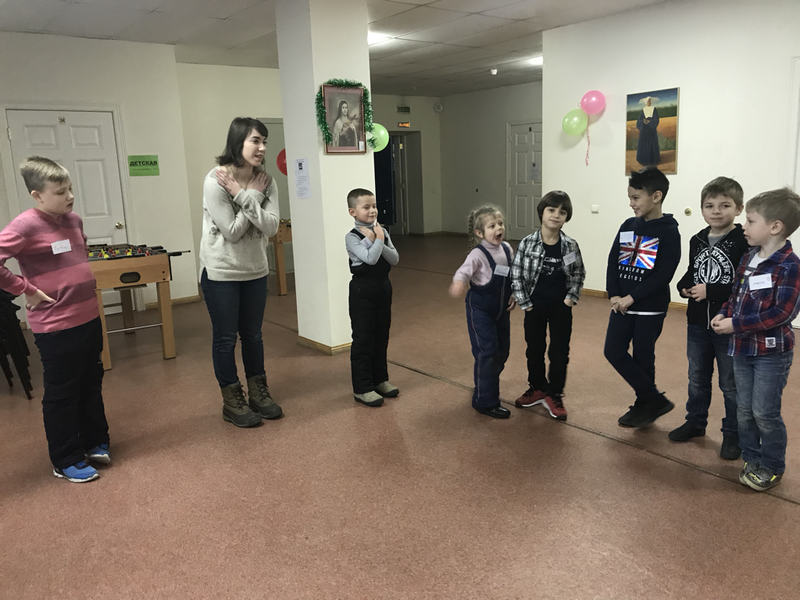 Yesterday at kids club we taught the older kids about Saint Patrick, and the younger kids about generosity and almsgiving and the story of Elijah and the Poor widow. It is beautiful to see how receptive and excited they are about the weekly sessions. Later that night we had another cooking competition to our friends request. We all met up together at the grocery store to buy supplies to make good, ol’ Russian pelmeni. Half of the group had never made pelmeni before and half of the group had. 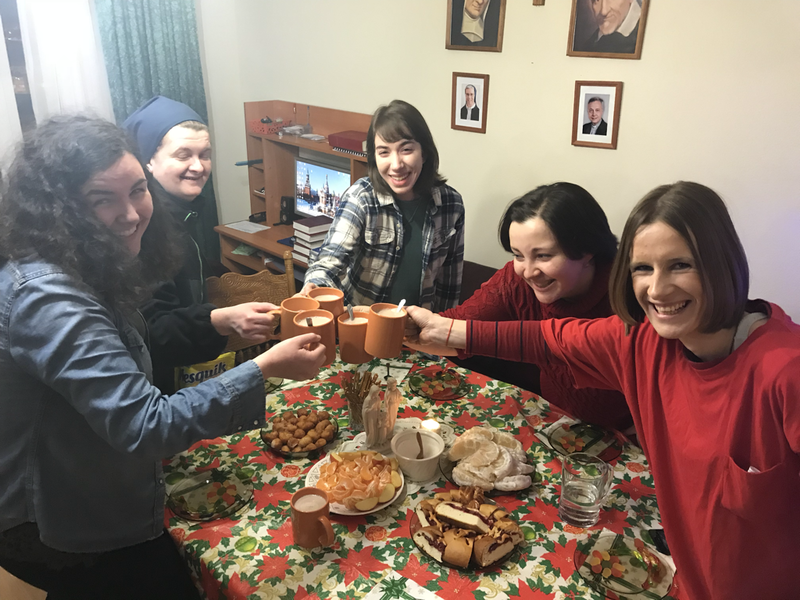 The atmosphere was very familial as we made pelmeni together and ate together. Some of our friends asked about the new priest, Father Yoseph, and then went to go meet him and invite him to our event. Each passing Saturday night event has proved to us that the Church is our friends new home. 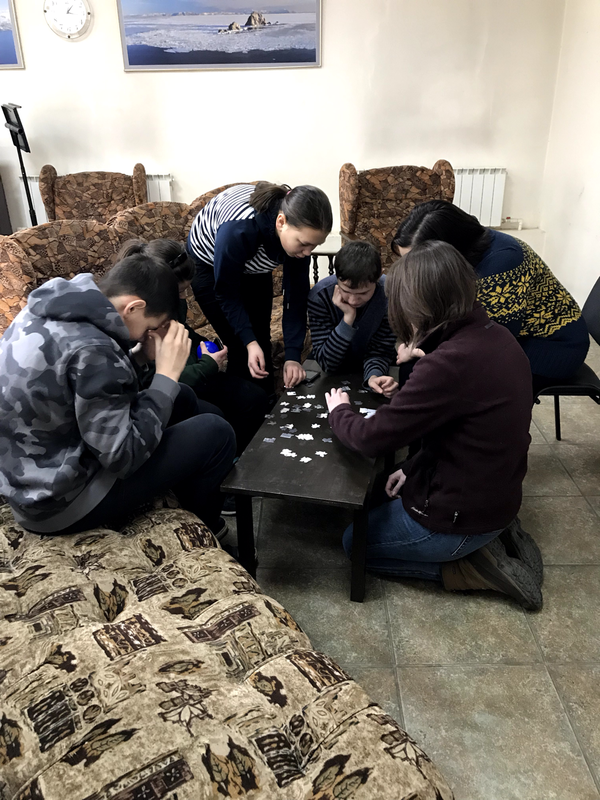 They feel very comfortable here, they have established close relationships, and they have even started to reach out to the other members of the church. It is such a blessing to see that they are open to helping the church through cleaning, donating clothes, offering the food we cooked to the church, and by helping make items to sell at the market to raise money for the poor. On Sunday, March 18th, MJ and I had the opportunity to experience a Russian Election as we accompanied Katya to the polls! There were lots of events happening around the city, even including games and competitions for kids. March so far has been a blessed month, that has gone by faster than we could have ever imagined. We cannot wait to see what is in store for the rest of the month as we draw closer to the end of the month, as well as the the end of Lent! 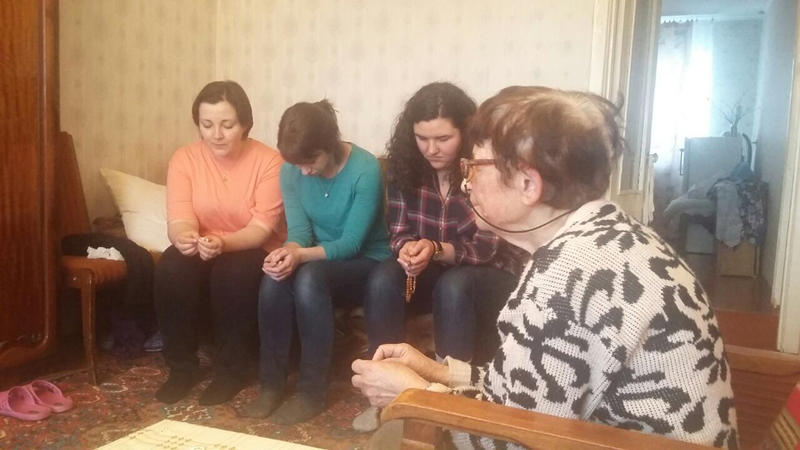 As Lent begins for us this year, we have learned a bit more about the culture of Russia and its traditions. We have been able to take the beginning of this reflective time of year to establish new traditions and deeper connections. Fun Fact Number один (a-deen; one): You know how we celebrate Mardi Gras in America? Well, we have been doing it all wrong. Here in Russia they celebrate, Масленица (Mas-len-itsa). Now you might be thinking Что это??? (Sch-to eta? ; What is it???). Well, my dear friends, Масленица is Blini Week. In other words, pancake week!! WOO! Mardi Gras will never be the same after living in Russia. Why celebrate for a day when you can celebrate for a week? With Blinis! Of every imaginable variety! This feast originated as a way to welcome Spring. These fluffy flapjacks were intended to symbolize the sun that seems to go on vacation from this part of the world every winter. Now, in some parts of the country they would even burn a stuffed figure of a woman that symbolizes the Russian Mythological Goddess of Winter, Morana. While this is an interesting and slightly concerning tradition, let's turn our plates back to the Blinis, and their role as a precursor to lent. After their week long pancake fest, they buckle down into an intensive lent. All across Russia, Orthodox Russians give up meat, milk, eggs, cheese, butter, and the like for the whole forty days. It is a time of sacrifice and reflection. 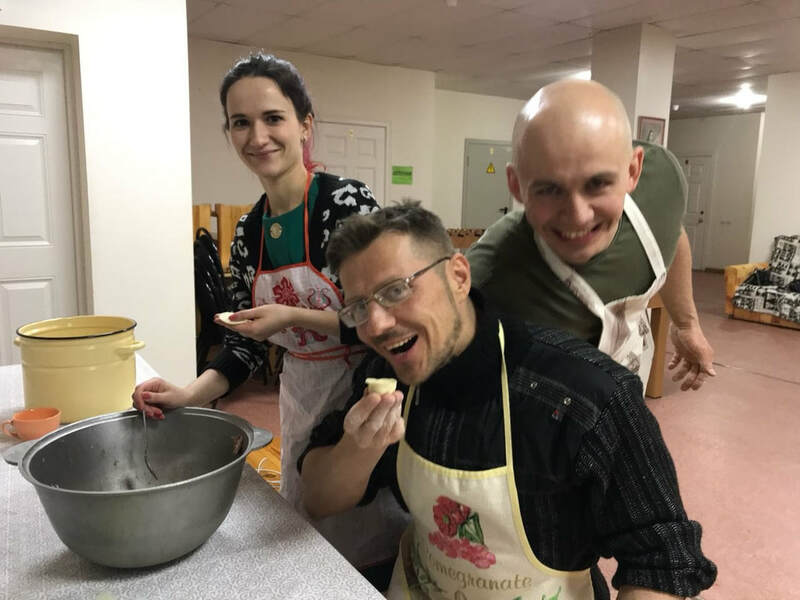 Just the other day, the Church cook Nastia was teaching us how to make traditional Russian food, but was very limited due to this fast. 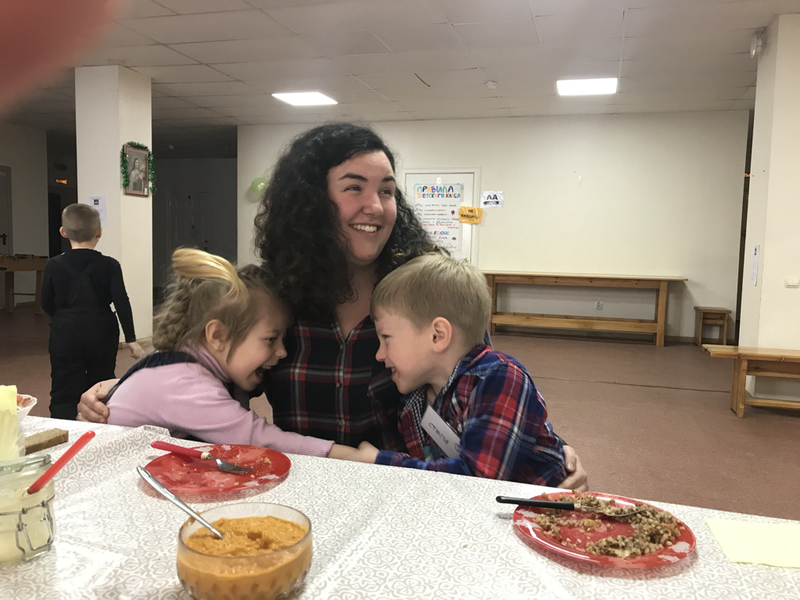 She ended up teaching us how to make Russian Potato Pancakes with potatoes and flour, because she can’t use eggs until Easter. Fun Fact number два (dva; two): Lent in Russia begins with Forgiveness Sunday. So instead of Ash Wednesday, where we receive a reminder of our death and Christ’s Sacrifice, people go around to their family and friends, apologize and ask each other for forgiveness. What an incredible way to start the Lenten season! When our Russian professor taught us this in class the other day, we were blown away and so excited. Fun fact number три (tree; three): coincidentally, our Philosophy on Tap event focused on forgiveness, coincides with this day. So as we spend this Sunday reflecting and discussing forgiveness and its importance with our friends; I challenge you to forgive those in your life who have hurt you and in turn ask forgiveness from those in your life that you may have hurt. It will heal your heart and soul, those around you, and prepare your heart for a deeper, more healing lent. Thank you for becoming a part of our journey! February has dawned and so begins another beautiful month. January was more difficult than I thought it would be, due to the lack of sun, lack of our Beloved Fr. Michael Shields, and the doldrums that come with cabin fever. But we have been given hope that ‘Spring’ will soon be here. 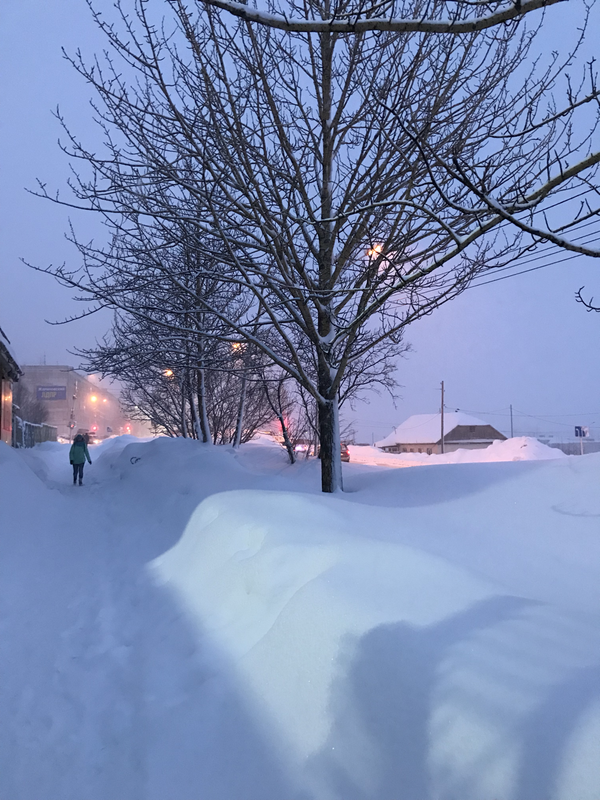 As we get pummeled with snow, living in Siberia has become more of what we had imagined it would be. 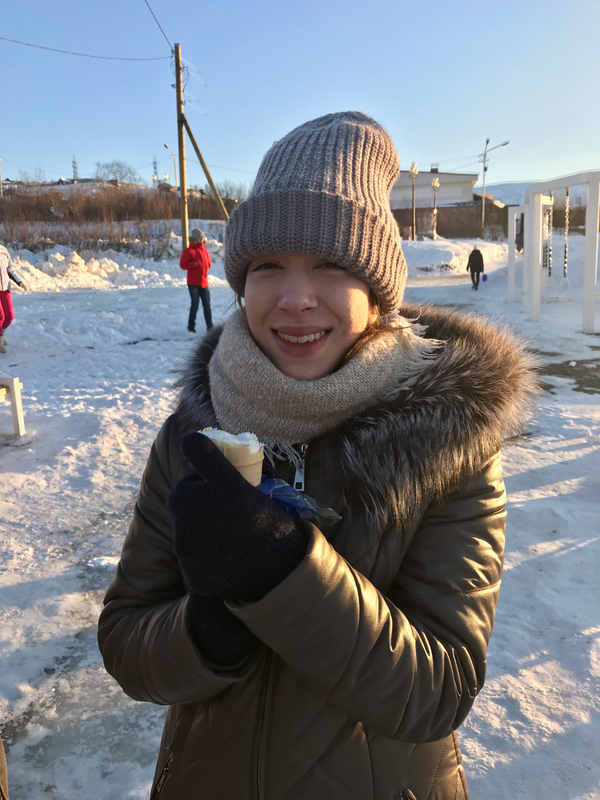 Despite the snowy terrain and jaw-dropping temperatures, Russians have some of the the warmest hearts I have ever encountered, even in such tough living conditions and various trials of life. I once read that if you befriend a Russian they will do anything for you, I can confidently say that this is true from all the countless times our friends here have offered their help to us. Life here has been different than back home in America. It has been slower-paced, simpler and has drawn us to reflect more deeply about life. One thing I have noticed is that back home people have this idea that they can control nature. Whereas people here just survive knowing that nature is stronger than them. I have seen one too many elderly person fall on the icy sidewalks, only to pop-up quickly and continue on their way. I have seen many stray dogs shiver, whimper, and fight over scraps of food. I have encountered brokenness here, in the infrastructure, in families, in individuals, and in myself. Despite all this, there is still joy, generosity, and love in their hearts. No amount of snow, sludge or ice will stop them. 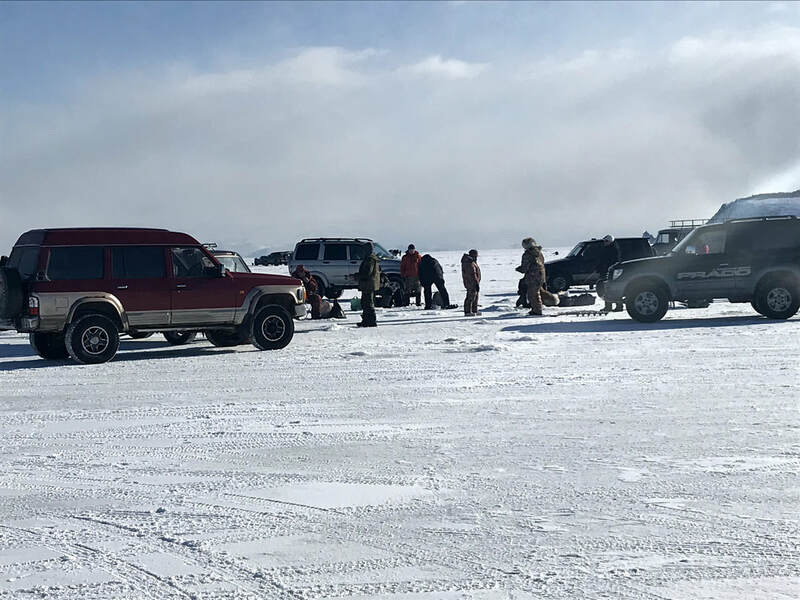 As we walk down the slushy streets past several cars lodged in the snow, people are pressing on, getting out and helping each other escape from the depths of the snowy river like roads. The ‘Russian Soul’ is complex and beautiful. Recently, my teacher said in class “The Russian language is like the Russian Soul. A mystery.” Those words penetrated my heart and have stuck with me ever since that class. It has given me a new perspective into the world around me. Each day I look around to the curious faces around me; the babushkas making their way around the city with their parcels and packages, the neighbors who greet you by asking you questions as they smoke a cigarette out of their second story window, the teachers who spend countless hours trying to help you understand the new words buzzing around you, the kids who come to you every Saturday for a safe place to learn and grow, the friends who show up to everything you invite them to, and always want to help in any way that they can. They all make life here so beautiful. 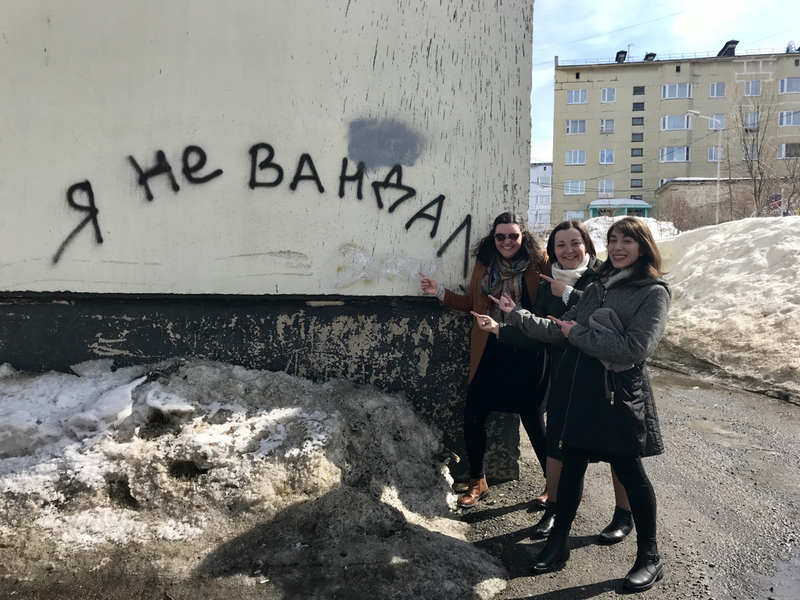 Time after time, when I ask people what their favorite thing is about Magadan, they often respond, “the people.” I couldn't agree more. Even when my heart yearns for home, when I am feeling sun-deprived and questioning why I moved to the top of the globe; I am reminded by just a single look out the window or a single interaction with someone. I am reminded that I am here for these people, to learn from them, to serve them, to love them, to suffer with them, and to rejoice with them. I am reminded of the wonders of humanity, and the many gifts given to us in this life; and these thoughts are enough to bring a smile back to my face and joy to my heart. After much prayer and consideration, MJ and I have felt called to return to Magadan to continue serving for one more year. 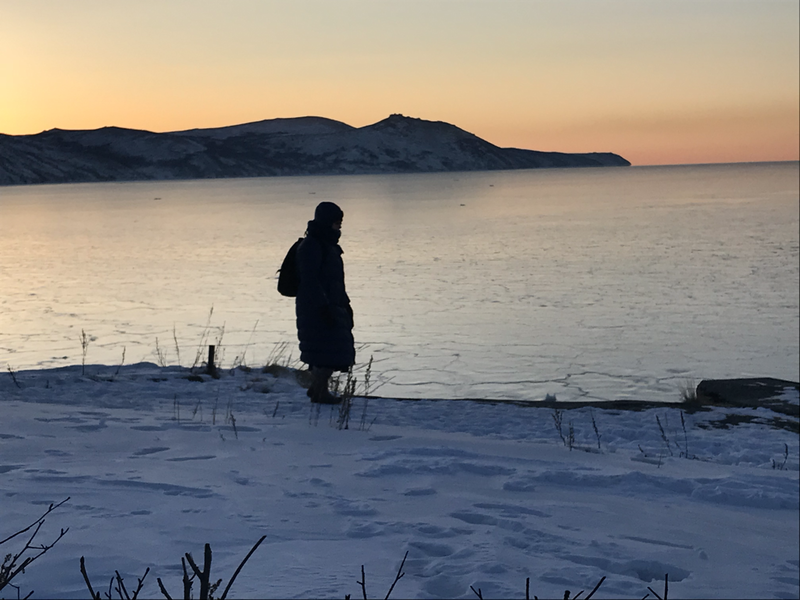 Please consider becoming a part of our mission by helping us return to Magadan next year! We need to raise $3,000 total in order to return, and continue serving. You can donate by simply going to our donate page. 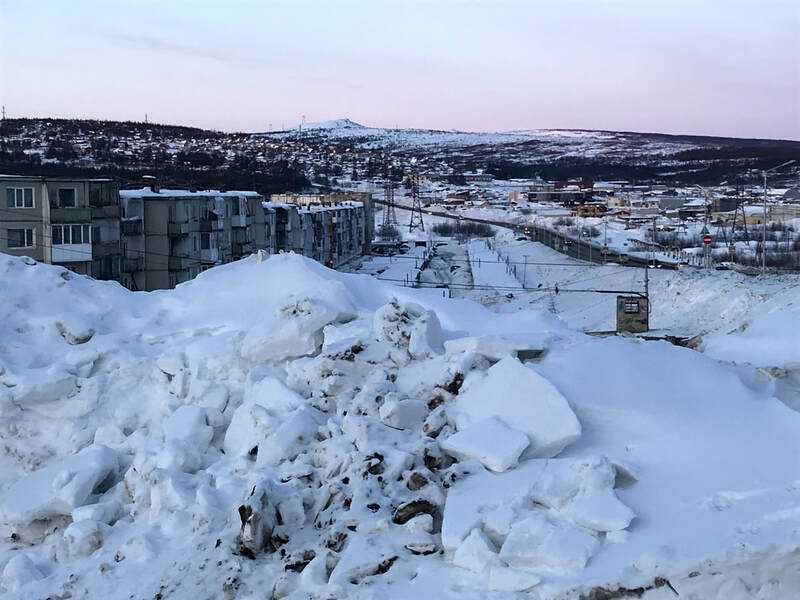 Thank you again for following our life here in Magadan, and making this journey a small part of your life. Happy Sunday! I hope you have had a great morning filled with joy, a cup of java or two, and maybe some time with Jesus. As of recently, we have had some unexpectedly ‘warm’ weather, as well as an amazing amount of snow. 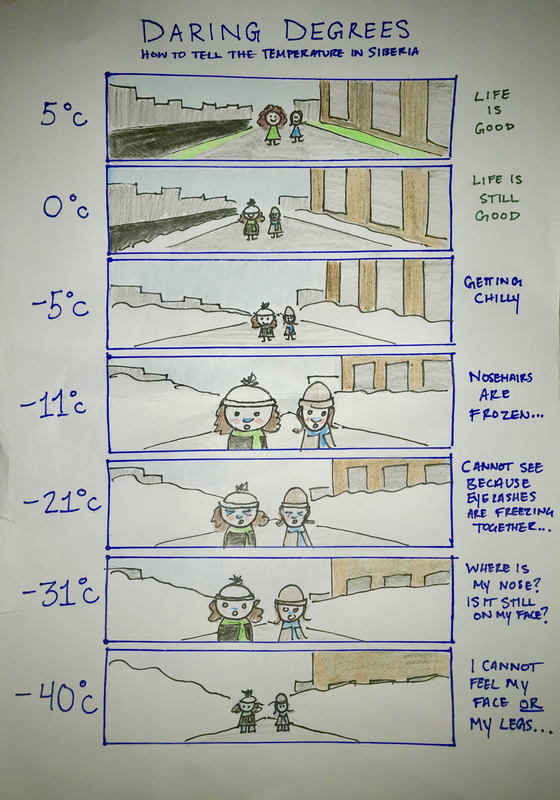 In spite of this, I wanted to share with you all a little comic chronicling our experience with the winter temperatures here. We hope you enjoy! In the past week the adventures have continued. We have gone ice skating, climbed to the peaks of mountains with dear friends, gone bowling, spent time with our beloved Babushka Olga, started our Women’s group, started an art club, made it through 5 hours straight of Russian lessons, gone sledding down ski slopes, and learned how to snowboard, cross-country ski and ride a horse. It has been an incredibly full and amazing week with many friends and a few lessons. One particular event and lesson that will stay with us forever is learning how to ride a horse. Our friend Alexander has been trying to get us to ride a horse since he met us this past summer. MJ and I finally agreed on Saturday on our way back from the ski slopes with our friends. Little did we know what was in store for us the next day. We got back to our apartment after Sunday mass to see a very large horse tied to the dumpsters behind our apartment building. We quickly changed our clothes, and ran out to Alexander who came up to our building entrance so majestically on horseback. We walked through the city block, at the amazement of many small children and city dwellers, trying to find an appropriate place to ride. We finally found a place and I made my way on top of the horse, who was just a bit too high for me. It was the scariest and most thrilling feeling. Alexander literally taught me the ropes to riding a horse. After 20 minutes, I was finally a bit more comfortable in this new situation and felt comradery with my man, Theodore Roosevelt. If he could ‘ride a moose,’ I could ride a horse. At one point the horse began to take off, and I was terrified that she would take out some small children on her way, as well as lose me. I managed to get her to stop and rode around a bit more before MJ embarked on the new adventure. The horse had decided to run home, and bring MJ with her. MJ unaware of this as the horse crossed the street on to a new, unknown street. Afraid of what might happen, or where the horse would go, she slipped off of the horse and landed on the ground. The horse walked into her stable, and MJ got up in shock at what had happened. Alexander caught up to them and made sure she was okay. Praise the Lord, she was okay, in shock, but okay. She had hit her hip and her head on the ground when she fell, but her guardian angel and soft winter hat cushioned the blow. Alexander walked her home and that is where I found her after searching up and down that road for 20 minutes for the rampant horse and my roommate. You know that moment, when you feel fear and panic deep down in the pit of your stomach. It’s that moment when there are two very different paths before you and you have to choose which to take. One is known, safe and you have a feeling of (false) control over what will happen to you. The other is unknown and fills you with butterflies of fear and excitement and you can just FEEL ‘fight or flight’ mode kicking in. Well that was me right before deciding to climb onto a big beautiful and absolutely terrifying creature-namely a horse. I gave myself a quick pep talk, reminding myself that fear should not stop me from trying new things, and hey! If I could try snowboarding down a mountain yesterday then I can try riding a majestic death-machine today.. The next 20 minutes were incredible and thrilling as Alexander taught me the do’s and don'ts of horse riding. Then Zarina (the name of said horse) and I took a few strolls around the buildings and side roads. We were soon almost out of time so I lead Zarina back to the entrance of our apartment building. Alexander and Jess were following a ways behind us-and that’s when things got really interesting. As we neared the apartment, Zarina, out of nowhere, decided that she wasn’t satisfied with a simple walk anymore and promptly picked up her pace. I used the techniques Alexander had taught me to slow and stop Zarina but she wasn’t having any of it. She was giving me the silent treatment and as that realization sunk in so did the fear. Zarina’s trot turned into a gallop and she zoomed past our apartment building. Not only was it my first time riding a horse but I was on a sprinting horse, in the middle of the city of Magadan, with zero control of where we were going. I was absolutely terrified. I felt my feet slip out of the stirrups and I grasped the reigns tighter as I mumbled a prayer filled with panic, ‘Oh God, oh God, please just keep me on the horse, please just keep me on the horse..please let there be no kids and no cars.. Oh please no kids, no cars..Oh Mary please please.” It was during this haphazard panicked request that Zarina took off toward a main road and promptly ran across it-thank God the nearest cars were far off- and continued down an empty road. Once we were away from the majority of civilization I heaved a sigh of relief. Zarina then turned and quickly sped off in another direction. I had heard stories of people who had gotten bones or limbs crushed by the powerful hind legs of horses. I also knew that I had no idea where Zarina was taking me or what other potential dangers could occur while riding her. 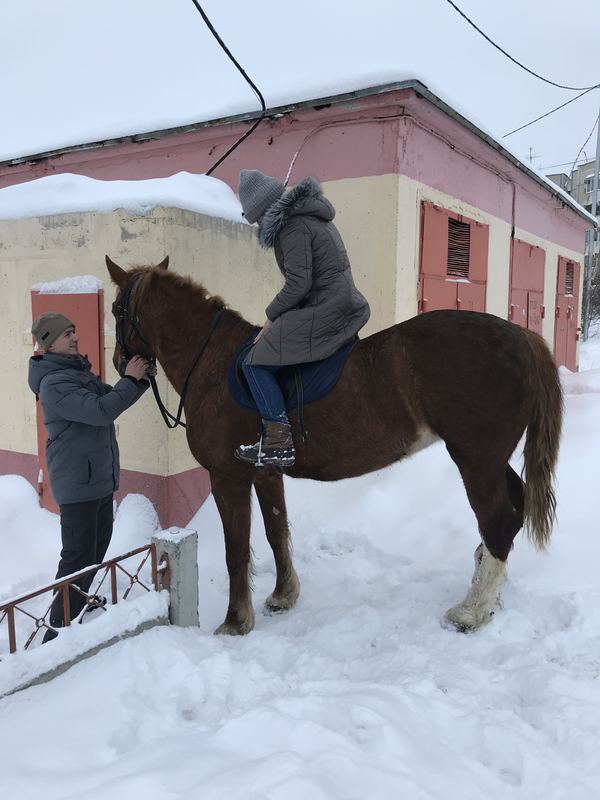 So as Zarina slowed her pace, I whispered an urgent prayer, closed my eyes, and half jumped-half slid of the horse into a fresh pile of snow. A few seconds later, I got up, assessed myself and my surroundings, found my fallen hat and mittens and turned to see Zarina, who had FINALLY stopped, looking at me from a few yards away as if she was asking why I had cut our little adventure short. This weekend Jess and I realized that one of the biggest factors that keep us from trying new things, going outside our comfort zones or doing bold things for the Lord is fear. Fear is paralyzing and keeps you from acting. Fear is not of God. With Christ we have nothing to fear, not even death. My biggest fear that day when I got on that horse was that I would lose control and fall off. When my fears became realized the only option I had was to rely on God to help and protect me. God never says that our worst fears won't become reality, but what He does say is “Do not be afraid, I am with you”. Though tired from all the excitement and running around, I (Jess) rushed to meet up with Vera for our cross-country skiing adventure. I explained everything that had happened and we went on our merry way. 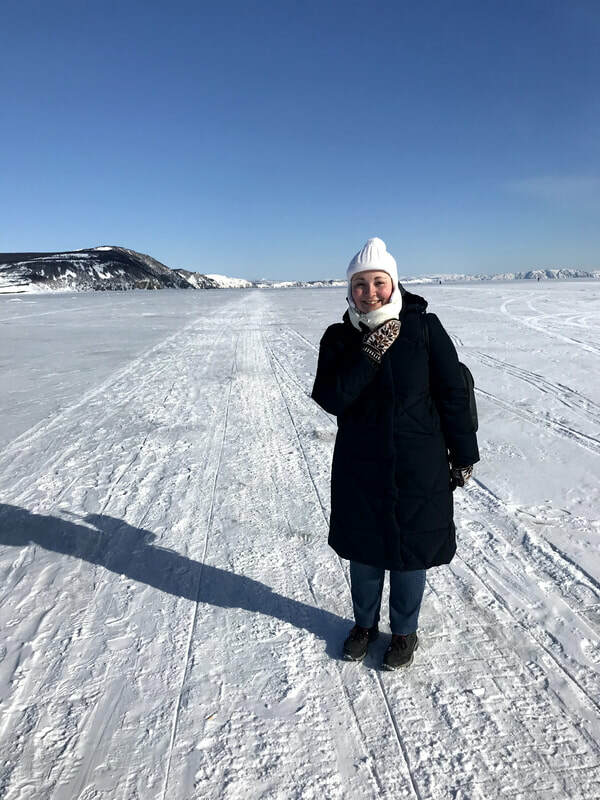 On our trip out, the wind was whipping and blowing, and Vera turned to me and said ‘It’s like we’re going to Antarctica!’ We made it out to the course, and I learned how to cross-country ski, which was not as similar to slope skiing as I had imagined. 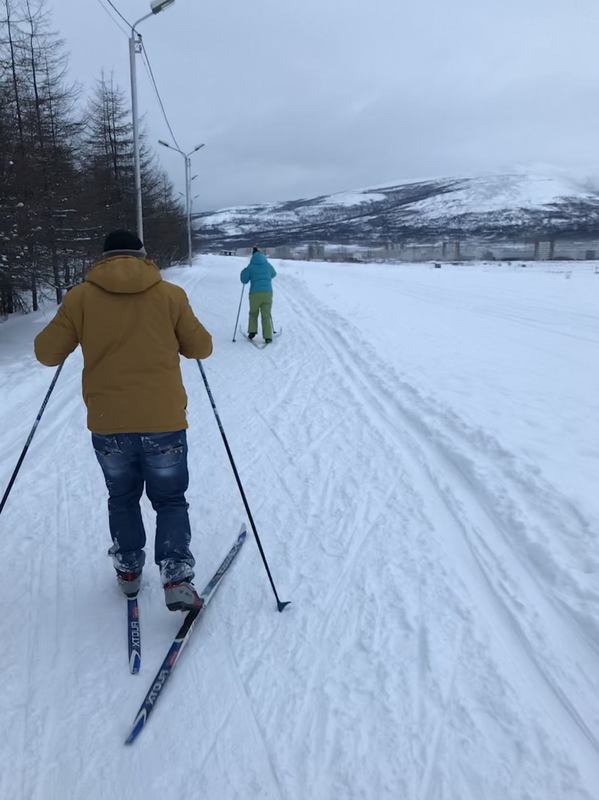 We climbed up hills in skis and skied down the proceeding hill at a surprisingly slow speed that I had not expected from skis. After climbing several hills and tripping down a few of them, I was exhausted. Vera began to embark up another hill, when I swallowed my pride, and I asked her if I could go home soon because I was tired. I don’t like disappointing people and usually end up sucking it up and continuing, but this time I couldn’t do it, I was too exhausted. 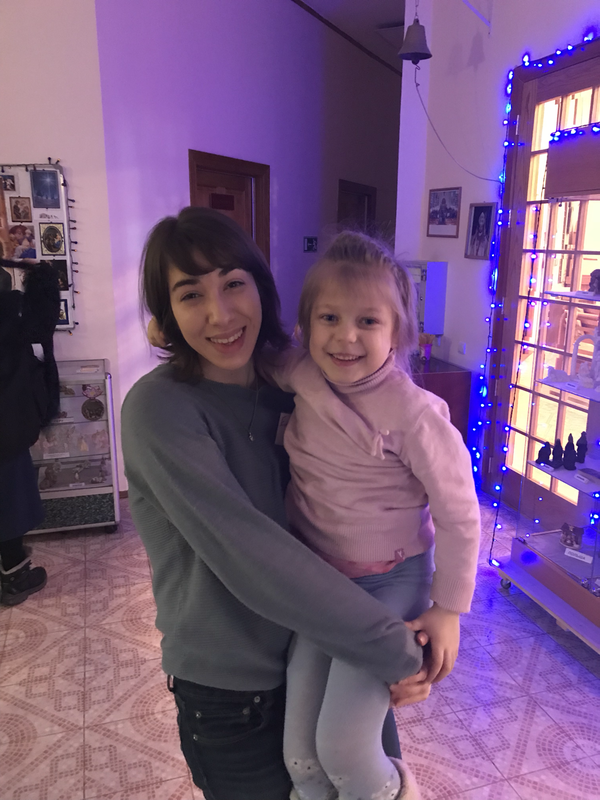 Being in Russia has taught me so much humility, and I am constantly having my pride shot, whether it be through not being able to communicate, through trying new things and failing, or just simple moments in everyday life. We headed home and I proceeded to fall two more times, but the last time I fell I landed in a snow pit on a patch of ice. I got back up again to find that I could not ski forward. The ski boot sole had broken from the boot. I tried frantically, like an animal gnawing at its limb, to get the boot off so I could catch up with my friends. I learned that day that cross country skis are not like normal skis. Two men on a snowmobile who were riding by stopped and asked if I needed help. I told them that my Russian was bad and I couldn't explain how I needed help. They asked again if I needed help and I swallowed my pride again and said ‘da’. Admitting to needing help is something I usually don’t do either. As the man helped me get the skis off I was humbled but so grateful. As we walked back my friends continued to talk to me in Russian, and I was having a hard time understanding. They would turn to me and ask me, do you understand? ’Tee ponimaesh?’ And again, swallowing my pride I would shake my head and say ‘nyet’. Walking home from this adventure I had time to reflect on all of this and realize the beauty of it all. The beauty of our friendships, the beauty of conquering your fears, the beauty of courage, the beauty of trusting God, the beauty of the help others so willingly give, the beauty of being weak and accepting help and not giving into pride. So go ahead, fall off your high horse. Be humbled. Do something that you are afraid of doing. In the Bible, God tells us, “Be Not Afraid,” 365 times!!! That covers everyday of the year, folks! For MJ, her biggest fear was falling from the horse, that happened and she survived. We learned that if fear is the only thing stopping us from taking that risk, from trying something new, from stepping out of our comfort zone, we should just go for it. Place your trust in him and go against your fears. As my friend, Kathleen Dougherty, now Sr. Kathleen, told me countless times in college, “FEAR IS NOT OF GOD!!! !” Don’t be afraid to make a fool of yourself, I have more times than I can count since being here, but I am so grateful for it. Be not afraid, fear is not of God, and neither is pride. MJ commented that it was warm outside (the temperature was -12, folks). We got 5s on our Grammar Exams, which is the American Equivalent of an A, finishing our first semester of Russian, woo-woo! The day before Christmas Eve we had a Christmas Party with our friends and tried to play White Elephant/ Yankee Swap, but they were all too nice and refused to steal anyone else's gift. 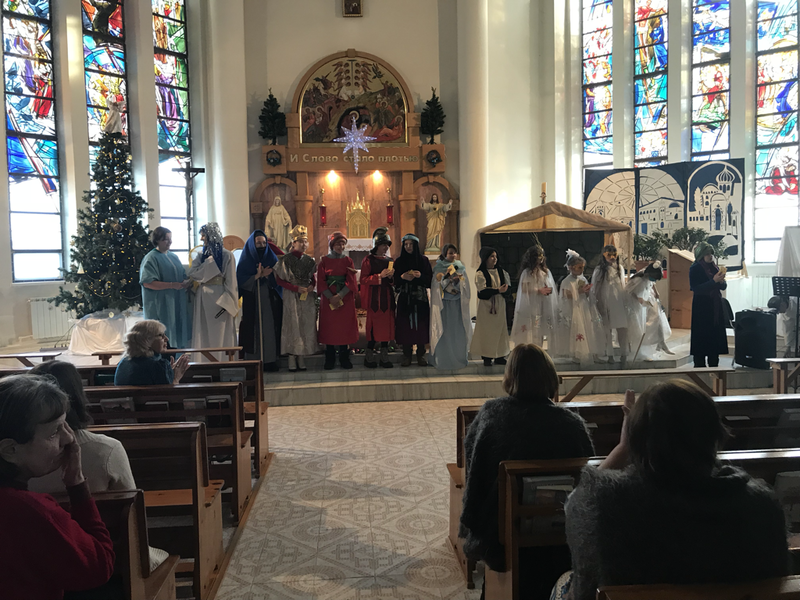 The kids put on a Christmas play, and over 100 kids from the city came to watch. We had the quietest, chillest Christmas Day; it involved one roommate going to school, watching elf, lounging around the apartment, giving cookies to our neighbors, attending Mass and going out for Japanese food for dinner with Father, MJ, Katya, and Sveta. Best Christmas Gift? Having three friends who are not Catholic come to Christmas mass and participate with you. We got to ring in the New Years’ like no other year. We spent the night at the Sisters’ apartment. 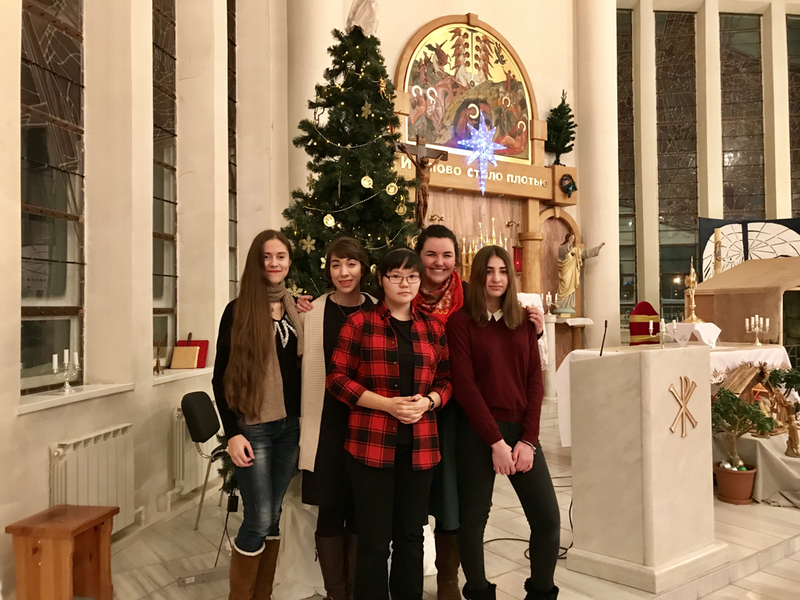 We had time in prayer before the Blessed Sacrament, watched the fireworks light up the city for over an hour from their balcony, and prayed a Divine Mercy Chaplet for the New Year. After everyone went to bed at 1:30am, I met up with some friends and walked all around the city until 3am, serenaded by fireworks and the sounds of a New Year. We finished the walk by drinking tea at a friend’s apartment. Eventually I was handed a traditional Russian dish that was essentially meat jello ( I don’t know the real name, but this title says all you need to know). 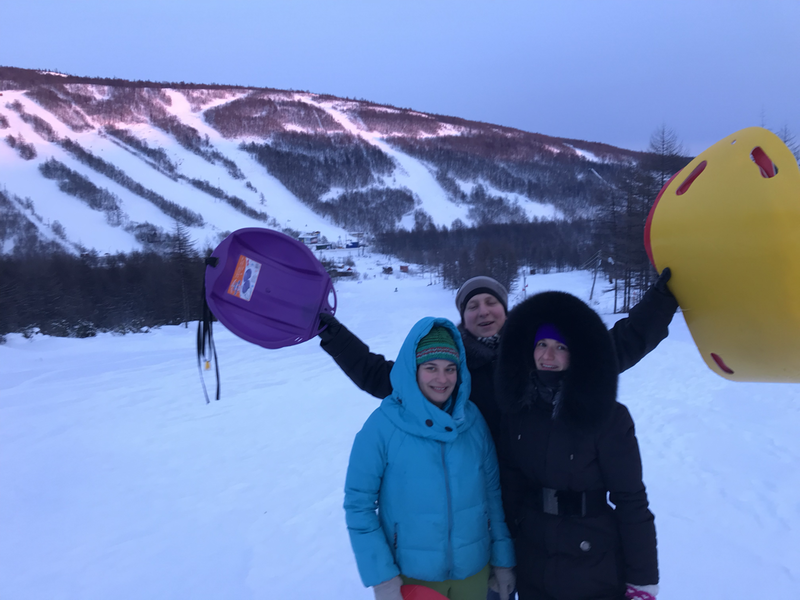 The second day of the year we went on an adventure with the Sisters, Sveta, and Kristina to the bay, to go sledding and eat ice cream in -27 weather like true ‘Magadanskis’. (Pictured below MJ enjoying a frosty treat in even frostier weather, is a great photo of Sister Sabina sledding). We just finished 3 days of Kids Vacation Bible School, which was an incredible experience with equally incredible kids who made the church their home, and who were filled with an authentic joy and energy that was SO contagious. The Vacation Bible School ran for three days, from the Fourth until the Sixth. 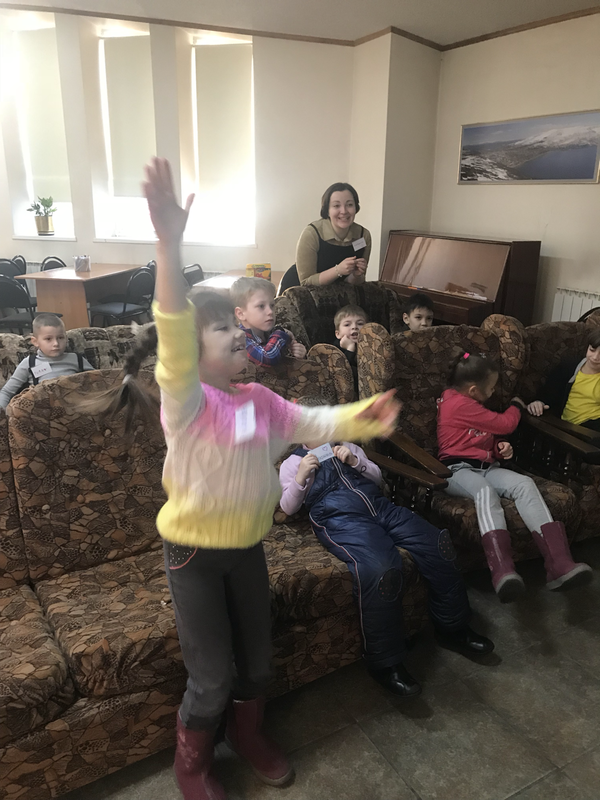 It was a lot of fun, and the kids had the opportunity to sing songs with Nadia, Catechesis classes with Sveta, English with MJ, and games and crafts with me. It was all organized by Katya. The kids were all very cooperative, and partook in all the games, songs, and classes. One of our new visitors, Roma, a young boy of 8, commented how much he loved being at the church and how it felt just like home. A puppet show about the birth of Christ was put on for the kids at the end of the Fifth and Sixth, which they enjoyed very much as they sat before the set drinking homemade hot chocolate that I made for them. Each day was closed in a Divine Mercy Chaplet before the image of Divine Mercy. *Dacha- a simple Russian cottage that is typically used in the summer by families, but Father’s is used as a place of prayer for Poustinia (a time of prayer away from any distractions). It all began last Wednesday evening. Father approached MJ and me about being in a video to promote our University to potential students and foreign students. He told us that we probably would not have to speak. We agreed not knowing the extent of this project. The next morning, we got up and made our way to the university, like any other day. We sat in our journalism class, trying to decipher what the professor was saying for yet another class period. We continued on to our grammar lesson, when I was asked to step out for a bit to speak with the school head. She then proceeded to ask me if I would be willing to star in a promotional video. The videographer and the other co-star Vlad, were there. I agreed, completely unaware of what I was getting myself into. We returned to the classroom where we began filming. The whole time I was trying to figure why they picked me to be the star. Then it hit me, MJ looks Russian, and had been told that since our first day in Russia. 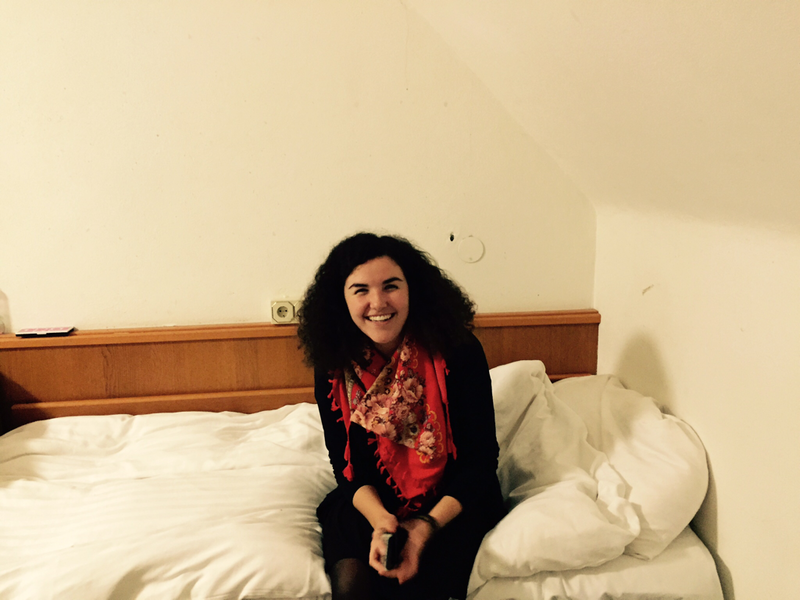 I looked foreign with my head of curls (which fascinate people here). We moved to another class where I was instructed to sit in the front with Vlad, look attentive and ask the professor questions. All while the videographer zoomed and focused on me for most of the take. I have never felt so self-conscious. From there we made our way around the university taking shots at all the various locations. Everytime I thought we were done, there was yet another location to shoot. Hallways, offices, fancy conference rooms, weight rooms, the balcony, the library and the University Orthodox chapel. They told me to grab my jacket and hat, because we were filming at other locations too. We were off to the other campus location on the opposite side of the city where we shot a scene in the cafeteria. Trays full of authentic Russian food: Pelmeni, Blinis, Borscht , Kotleti, etc. Then, I was ushered up to a gymnasium with at least 40 large Russian men playing basketball and volleyball. The School head and I were the only women in the room and soon all eyes were on us. I immediately began to pray that they would not make me go out on the courts. Immediately they all cleared to one side of the court, as I was ushered out onto the other side of the court, in a skirt, and told to shoot some hoops. I then proceeded to pray that all the basketball drills I endured in P.E growing up would not fail me as everyone watched. I made it in on the third try. Close enough. From there we drove to the dormitories, where I was filmed living in some complete strangers’ dorm room. On our way out of the dorms, the school head began to talk to me about snowboarding. I thought she was making small talk, but I soon found out that I was mistaken. As we sat in the car, waiting for the videographer to finish filming the building with his super cool drone camera, the School head began to explain to me that I was going to ride with the Videographer, Anatoli, to meet up with a Vlad and Natasha to go snowboarding. I looked down at my watch nervously. It was 3pm and we had been filming for three and a half hours already. I thought they were just trying to be hospitable by taking me snowboarding for helping them out with the film. I tried to explain to her that I really should be getting home; all while internally freaking out because A, I was wearing a skirt and did not have the gear, and B didn’t know how to snowboard, was tired and wasn’t exactly up for learning that moment. I tried to ask her how long it would take. “5-10minutes,” she responded. I was so confused, it is impossible to snowboard in that short a time. I figured I screwed up my question, so I asked again, and she repeated the same answer. Then she said, “I don’t understand what you are asking, do you want to know how far it is way because it is 5-7 minutes away.” At this point she switched to English. I asked if I would be home by 4pm, and she said “Yes, and don't worry because they have all the gear.” I was very confused and uncertain, but agreed. Anatoli and I set out to meet up with the others. His car ran out of gas, and we we picked up on the side of the road by Natasha and Vlad. We drove a few more minutes and pulled into a lot parallel to the ski slopes. Natasha told me to take my parka off and put on her jacket..
“Okay Jess, this is happening, brace yourself” as I tried convince myself to accept the situation. Just as I did that Natasha took my parka, put it on and made her way with Vlad to the slopes. I had my very own stunt double! I was relieved and stunned all at once. 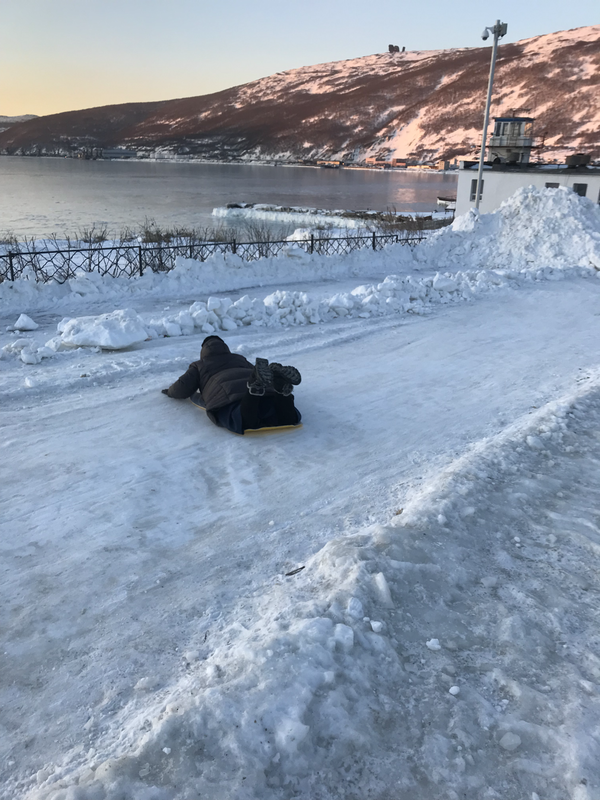 Anatoli and I sat in the car, as he filmed them cruising down the slope with the drone camera. They came back, and had me put on the helmet to film post slope scenes. 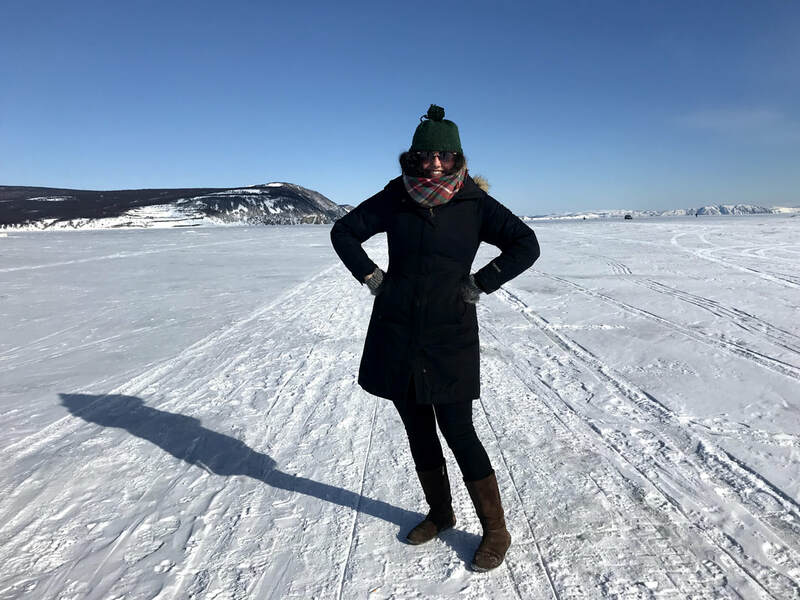 By this point the temperature had drifted down to -22c, and I as told that is way way too cold to be here, even for Russians, and that I should go back to the States. I finally arrive home at 5pm… Five and a half hours later, from what I originally thought was going to be a 30 minute ordeal. And so I became the University‘s poster girl, all because of my curly hair.